William Shatner as Captain Kirk — to the rescue, of course! Yvette Mimieux as Dr. Brackett’s ex- who takes up with The Shat. title frame, an old EMD E-unit would be pulling a train. New Haven Railroad in Connecticut (now part of Amtrak’s Northeast Corridor). 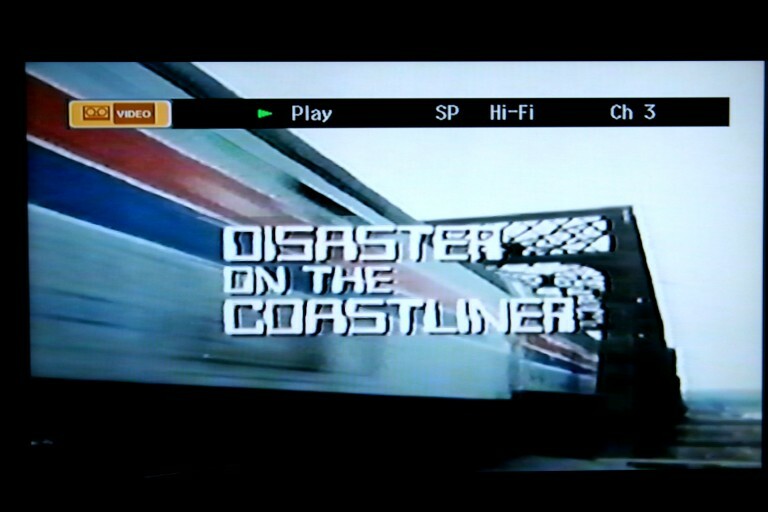 See what IMDb has to say about “Disaster on the Coastliner”. The script conveniently overlooks emergency brakes found in every car and has you believe there are no crossovers or switches of any kind for the 90 minutes the two trains are on the same track. Robert Fuller, trying to shed his “good guy” Doctor Brackett image, is shown smoking, drinking, and carrying on with some bimbo, while on the phone to his wife. Later we see him clumsily trying to pick up chicks in the train’s club car. McCroskey in Airplane! and Airplane II. E.G. Marshall who despite being chief dispatcher, has no clue how his railroad works. He just keeps saying, “Everything is run by computer”. everybody. Then he marches down to the station, overpowers the real engineer in the employee break room and takes over. No one notices anything. Every time he’s on camera, sinister organ music trills menacingly in the background. own conductor, ignores his own dispatcher and then proceeds to blow through red signals for an hour. Sure. William Shatner (All Hail The Shat! 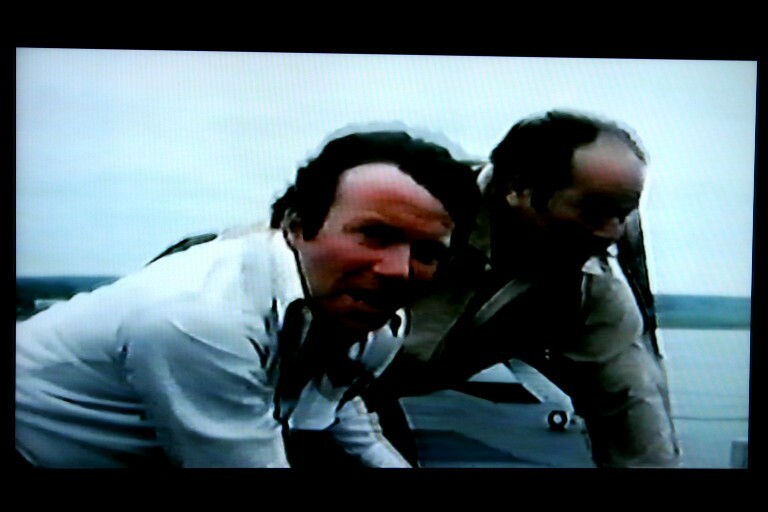 ), pottering around on the roof of a speeding locomotive with Paul L. Smith (see photo below). That toupee is really getting a workout! Conclusion: This movie is a classic, polyester image of the 1970’s. Check it out! This entry was posted in Uncategorized and tagged ABC Television, Amtrak, Disaster on the Coastliner, Doctor Brackett, Lloyd Bridges, Perry Mason, Raymond Burr, William Shatner. Bookmark the permalink. Oh my goodness, glad to find someone else remembers this movie! I caught up with it in the mid-1980s when it re-aired frequently on TBS. What prompted my web search today was the discovery of a VHS tape of “DOTC” as I was cleaning out my parent’s garage, poorly labeled by long-ago me. This and “Silver Streak” were two rail standards of TBS in the 80s which I still enjoy today 🙂 Thanks for the hard work you have put into this website!